Casey Stegall, who left Fox4's Good Day in March 2007 to become a Los Angeles-based correspondent for Fox New Channel, is reversing course to become part of the cable network's Dallas bureau. His official first day is June 18th. 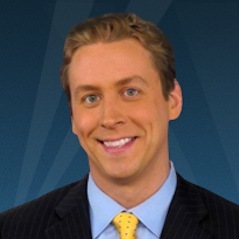 He replaces Kris Gutierrez, who departed FNC's Dallas bureau in February of this year to become a weekday early morning anchor for CBS-owned WBBM-TV in Chicago. His wife, Krystle Gutierrez, left Good Day after four and a half years to join him in Chicago. Stegall, an Indiana native and graduate of David Letterman's alma mater, Ball State University, spent two years with Fox4. He had joined the station from KVUE-TV in Austin. "I am very excited about my return to the big D," Stegall said in an email reply to unclebarky.com. "California has been good to me, but I've always missed Texas. There is certainly no shortage of news in that part of the country and I'm now very much looking forward to providing the network with coverage out of that crucial region." Stegall said he still has many contacts in North Texas. "I'm ready to hit the ground running as I will be responsible for reporting on all of Texas, Oklahoma and Louisiana." While with FNC in Los Angeles, Stegall's assignments ranged from the deaths of Michael Jackson and Whitney Houston to California wildfires to reporting from the scene in Afghanistan and Israel. He also was an occasional fill-in anchor out of FNC's New York mothership studios.